A past water line replacement project on Queen St. 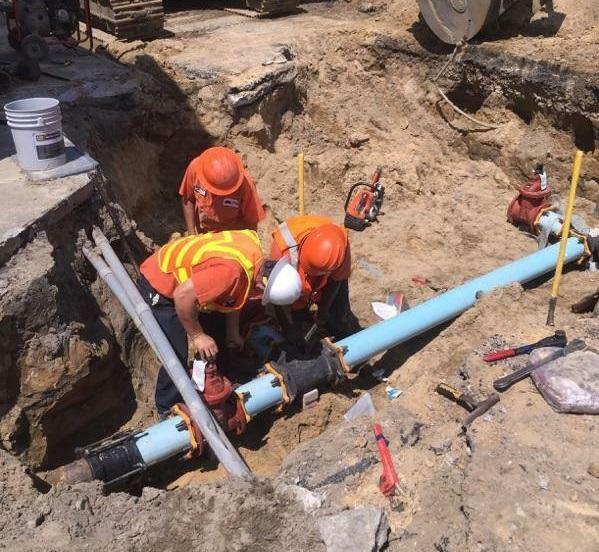 Drinking Water State Reserve Program funding was approved February 28th for a water line replacement project in the Lawrence Heights neighborhood in Kinston. Twenty-seven counties in eastern North Carolina will receive state funding to improve or replace drinking water and wastewater infrastructure. The State Water Infrastructure Authority has approved more than $240 million in loans and grants for 127 projects across the state. Nearly half of the approved projects are in eastern North Carolina. The town of Farmville will be able to replace sewer lines to resolve and prevent blockages and sewer backups. In the town of Bladenboro, which suffered infrastructure problems during Hurricane Matthew, funding is providing two permanent generators that will maintain power in the wastewater system in future storms. $9.8 million in Community Development Block Grant-Infrastructure funding will go to eight Hurricane Matthew-related projects, including a sewer system extension in Pamlico County and flood resiliency improvements in Johnston County.